IABA Europe was born as a result of the conference ‘Life Writing in Europe’, held at VU University Amsterdam from 29-31 October 2009. A second conference, 'Trajectories of (be)longing: Europe in life writing' was held at Talinn University from 18-20 May 2011, and a third (2013), on 'Beyond the subject. New developments in Life Writing', was hosted by the Ludwig Boltzmann Institute for the History and Theory of Biography, Vienna (Austria). The 2015 conference, 'Dialogical dimensions in narrating lives and life writing', was held at the Centre for Atlantic Studies in Funchal, Madeira. IABA Europe's 2017 conference - Life Writing, Europe and New Media, 7-9 June - will be hosted by the Centre for Life-Writing Research at King’s College London. 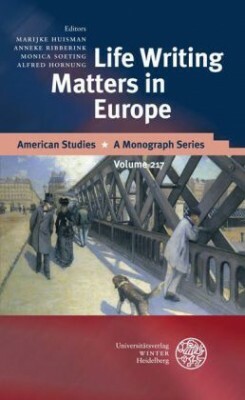 A number of revised papers is published in Life Writing Matters in Europe (Heidelberg: Winter Verlag, 2012).